Why was the new Work and Pensions boss' first Parliamentary statement to reject the United Nation's findings on poverty? 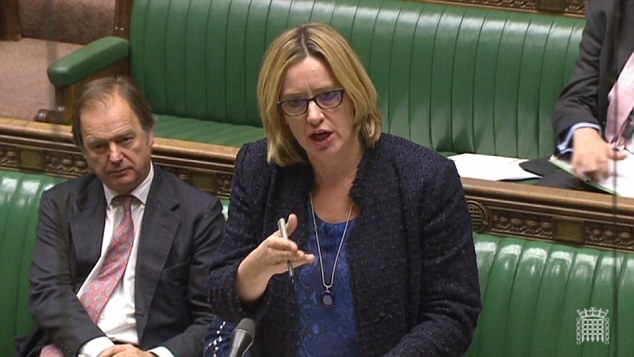 Amber Rudd, the new Work and Pensions Secretary, in her return to the House of Commons despatch box following her resignation over the Windrush scandal six months ago, chose to refute the findings of a UN inquiry into UK poverty. Rudd condemned the report by Philip Alston, who headed the UN investigation, which claimed that the UK is in breach of four UN human rights agreements relating to women, children, disabled people and economic and social rights. The UN report concluded that benefits caps and restrictions – and cuts of 50% to local council services as part of the government’s austerity programme since 2010 – are damaging the fabric of British society resulting in destitution, precarious living and driving high credit debt and food-bank usage. What Rudd ignored was that Alston’s report relies on home grown research into poverty by universally respected and non-partisan organisations like the Joseph Rowntree Foundation and the Institute of Fiscal Studies. The JRF’s research has revealed that 1.5 million people in the UK have been pushed into destitution, going without even the bare essentials to live a basic existence, while being locked out of opportunities to build a decent and secure life. Recent publications by the IFS have calculated that the costs of austerity, in terms of changes to taxes and benefits between 2010 and 2020, have been unfairly shouldered by the poorest in British society. The poorest tenth of households are losing 10% of their already low incomes even as top earners have been little affected and have accumulated much more wealth since the international financial crash hit in 2007/08. The wealthiest tenth now control 44% of all wealth whereas the bottom half of the population hold sway over just 9%. What’s more, the Great British Class Survey has calculated that the UK has a growing ‘precariat class’, which the researchers estimate is now 15% of the total population, equating to around nine million people. This is economically the poorest group, with household incomes of less than £12,000, with negligible savings, and most likely to rent (especially in social housing and the lower end of the private rented sector). They are located mainly in older industrial areas now in decline. The ‘precariat’ are disproportionately reliant upon low paid, and often zero hours employment. They have little in the way of assets upon which to call in a time of crisis, and are overly subject to high-cost credit debt. The fallout from pursuing an austerity programme that targets the poor has been a political act, and is driving increases in poverty; especially child poverty as the Child Poverty Action Group reports. The burden of austerity is falling on already marginalised groups – some BME communities, disabled people, and lone parent families. That Rudd cannot acknowledge these facts doesn’t bode well for her tenure at the DWP nor for reducing Theresa May’s ‘burning injustices’; even if May gets to keep her job post-Brexit. Kevin Gulliver is Director of Birmingham-based research charity the Human City Institute, former Chair of the Centre for Community Research, and part of the SHOUT save social housing campaign. He writes in a personal capacity.